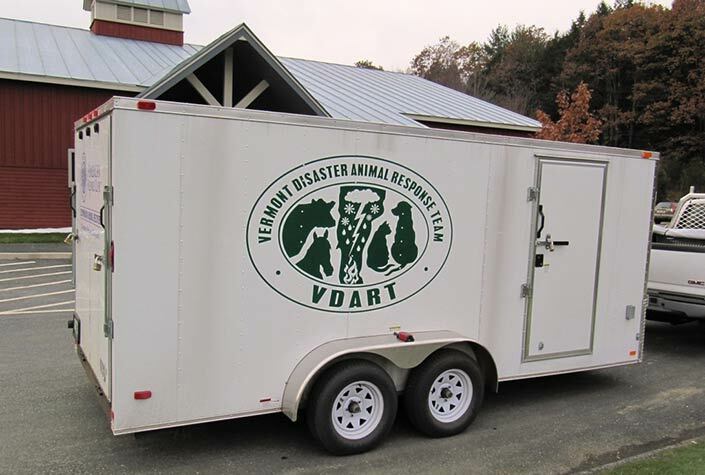 The Vermont Disaster Animal Response Team (VDART) was established in 2007 in order to strengthen and support the state’s capacity to respond to animal needs in the event of a disaster. We provide vital resources and advice to pet owners, animal-related businesses and non-profits, local communities, and state agencies in this area. Our goal is to provide uniformity and excellence in response to animal needs by training and exercising our volunteers in best practices, supporting the development of regional DART teams throughout the state, and providing local emergency managers with guidance on including the community’s pet population in local response plans. The best and most effective response to a disaster begins and ends at the local level, and it’s up to each of us to make sure that our families and communities have plans in place to ensure the safety of the animals who share our lives. In the wake of Hurricane Katrina, a major flaw in our nation’s emergency response system was exposed. The incorporation of pets into emergency planning and response activities was severely lacking. Many Katrina evacuees were forced to leave their pets behind, while many others risked their own lives by staying behind, because no provisions had been made to accommodate pets following the storm. As a result, both animal and human lives were needlessly lost. Vermont saw its own vulnerability when Tropical Storm Irene struck in 2011, crippling the state’s transportation infrastructure and stranding both people and animals in some areas. All levels of government have now recognized the need for emergency planners to address issues related to animals in disaster. The Pet Evacuation and Transportation Standards (PETS) Act was signed into law in 2006 following Hurricane Katrina. The Act requires that states and municipalities take into account the needs of residents with pets and service animals during and after a disaster. Since this law was enacted, pets must be included in operational plans if the state or town seeks reimbursement from the Federal Emergency Management Agency (FEMA) for disaster related costs. Provide or sponsor training in Emergency Animal Sheltering and other disaster-related topics to interested volunteers. Develop and support a network of Regional Disaster Animal Response Teams across the state to assist local communities with their pet sheltering needs following a disaster. Provide standard operating procedures and standardized forms for local and regional emergency pet sheltering needs. Educate the public, volunteers and responders on the importance of planning for and responding to animal needs in disasters. Deploy a fully equipped Companion Animal Mobile Equipment Trailer (CAMET) that includes cages and other necessities to supply an emergency animal shelter in the event of a disaster. 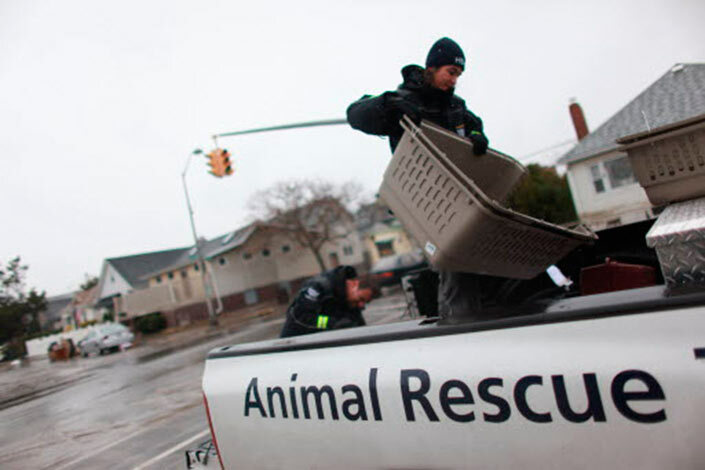 Assist municipalities with the incorporation of pets into their own local Emergency Operations Plans.